Hot water bottle covers can look really old fashioned and sooo yesterday, plus they can be a real pain to get the hot water bottle in place! Not so with Wear New Zealand’s sleek new rectangular design. We have brought this “must have” winter warmer up to the 21st century - they can even be used for cushion covers, pyjama hold-alls or gift bags! Made from double sided possum fur for superior insulation and then lined in super warm mock suede fabric with Velcro top closure to keep all that warmth from escaping. A useful top hang up tab is practicality personified. Simply place the hot water bottle into the cover, fill up, Velcro up, and you can drain or fill up to your heart's content without ever needing to take the cover off. Choose from natural colours or way out hot pink, yellow, green, orange, etc. The construction is strongly reinforced to take the weight and because of no air gaps, you will be toasty warm for hours and hours. 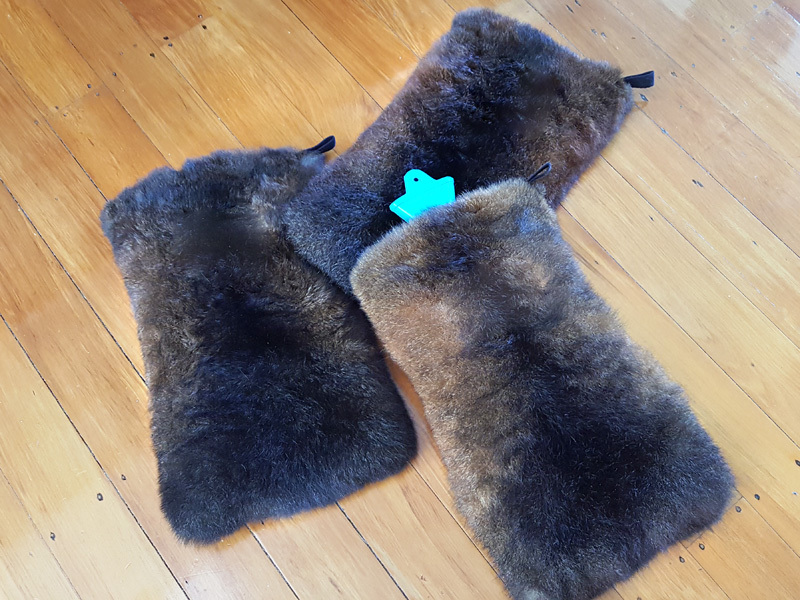 So, if you've grown out of hugging a teddy bear, upgrade to a possum fur hot water bottle cover that screams class! Definitely non-naff!